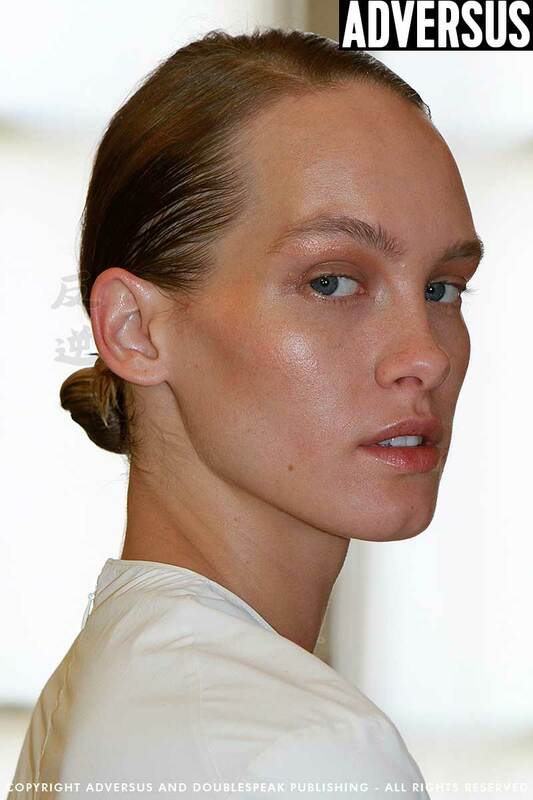 Backstage at the Gabriele Colangelo Summer 2018 Show at the Milan Fashion Week we met and interviewed Francelle Daly, makeup artist, in charge of the makeup team for MAC for this show. 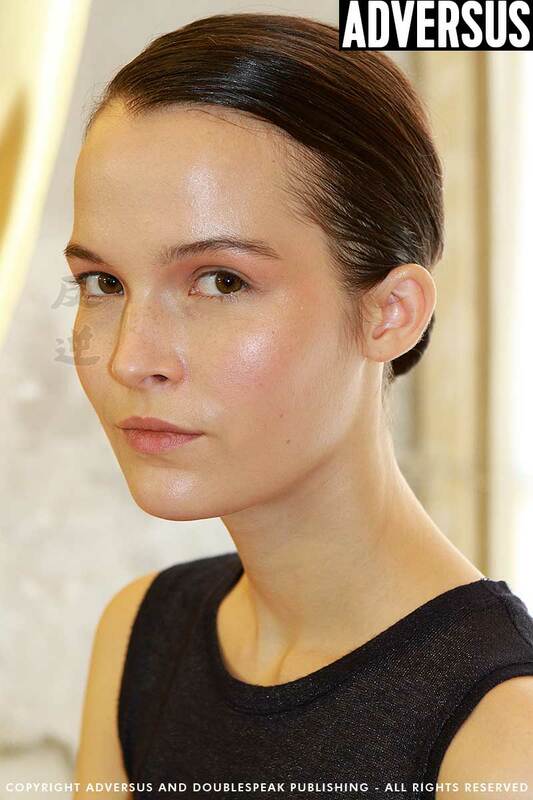 The makeup look of the models was very clean. The focus was on the skin, perfect and effortless. It is all about the ease of application. So we did Face and Body makeup with MAC Cosmetics, a little bit of concealer underneath the eyes, set with PREP+PRIME loose powder. The brows are brushed up (we added some detail with the eyebrow pencil), and then on top of it we have a beautiful peach color, no mascara, the beautiful peach color lives on the crease of the eye and a little bit on the apple of the cheek and brought onto the cheekbone. Set everything with some loose powder and lip balm.